Yum! I'll have to give this a try. Since, I only buy fresh fruit when it is on sale I may need to mix it up a bit. This is a great recipe. 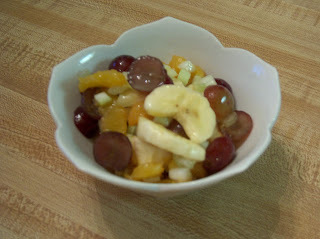 I try to serve fruit as much as I can because it's about the only way my husband will eat it. That looks yummy! I'll eat just about anything with lemon on it.